If you are like me, you may have tried just about every fad diet or nutrition plan out there. Sources say that dieting trends and fads are a $66 billion dollar industry. Frankly, much of it is money wasted when done incorrectly due to lack of knowledge from individuals. I will preface, I am not a registered dietician or healthcare professional, so I would trust the opinions of such experts over my own experience, but I am simply offering what I believe now to be a viable option, nutrition wise, to build good habits and more importantly, a healthy mindset around “dieting” - rather, how to eat to sustain and nourish the body wholesomely. Since beginning the Whole30 Program, developed by Melissa Hartwig, I have already noted major changes in my body and mindset.Over the past three years, in an attempt to lose weight and control my hunger cravings, I have done it all... ketogenic diet, vegan diet, pescatarian diet, elimination diet, no carbs...no dairy... etc etc. I learned from each experience what works and what does not for me, personally. I find that no one size fits all despite what the industry says, yet when a plan did not work, I was left feeling defeated. I needed to adjust and then readjust my “diet” so frequently to fit my body’s needs that eventually I would stop. What I did find, though is I generally prefer a nutrient dense plant diet with little dairy, little gluten, and little meat or seafood. I used to claim to be vegan but I realize I found it too restrictive (and also when I would have the occasion latte with milk, people would call me out) though it yielded the most positive results for my body. I noticed I was particularly “lighter” and more vibrant - much like the food I was eating that was giving me energy - which is what our food is meant to do - heal and bring vitality. Now, with my experience doing the Whole30, I notice I am eliminating foods that previously caused me to feel symptomatic - that is: bloating, grassiness, constipation, painful acne break-outs, disrupted sleep, and fatigue, to name a few - yet the elimination does not make me feel restricted because I have so many options and creative ways to prepare my meals! I am eating and MAKING (preparation is key) whole foods - vibrant, ALIVE, nutrient-dense foods, full of vitamins, minerals and the necessary fibers I need to support my healthier digestive system. This, in turn has taken away my symptoms of the minor gut issue I was once experiencing. More importantly though, I am making better choices and being mindful when eating so that I understand my emotional/psychological linkages to the way I consume food. I am proud to say, I have not consumed any sweets - a task that would usually seemed daunting for me. In sum, there seems to be no universal way of eating or “dieting”. I believe food has the power to heal the body. Intuitively, our body, can begin to come back into balance with the right additives (nutrition, supplementation, exercise, stress reduction, etc). It is up to each individual to be diligent and do the work necessary to find what intelligently serves the body and its healing and eventually, its ability to thrive. Whole30 has re-programmed me and will continue to drive me after these 30 days because I believe fueling my body in order to be the healthiest version/vessel to do what I love takes precedence over my decisions to “slip up” for that one indulgent moment that sets me back. Because of the complexities of our individual bodies and our individual differences, I prefer to believe that no “one” way is THE right way or prescription for food and nutrition. Looking holistically at the body and it’s processes, what works for one person’s body may be harmful to another person’s body. 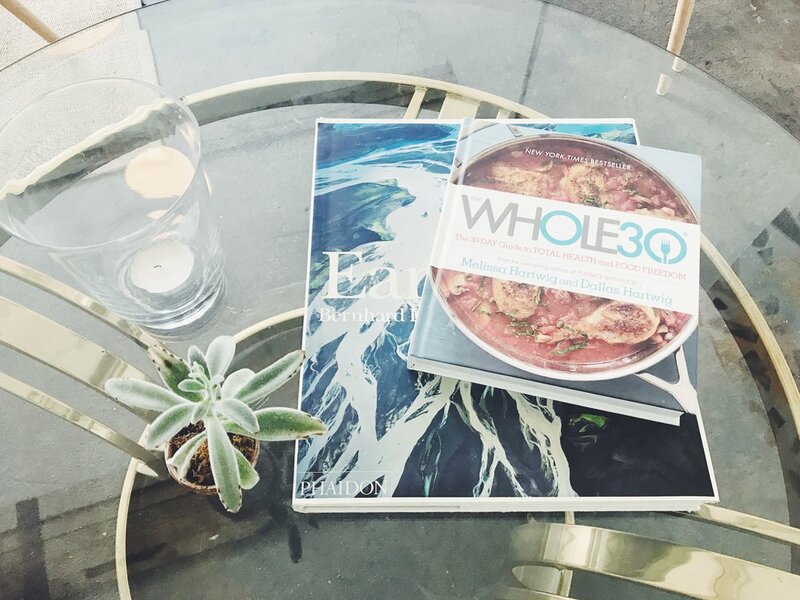 Whole30 may or may not serve you but I am happy to share this experience as I was resistant to trying the Whole30 previously and since I have started, I have no intentions of slipping backwards.